RE-CONNECT, RE- ALIGN, RE-DESIGN YOU! Your whole being – for you are a multi-dimensional being. 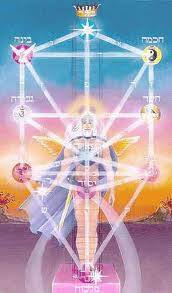 You have a physical body, an etheric body, a mental layer, an emotional layer, and a spiritual layer body. Holistic healing is about addressing the interconnectedness of all these bodies and healing from the root cause. True Healing does not occur on just one level, in one body. Each body must be addressed for healing to get to the root cause, not just the symptoms. Your body’s innate intelligence awakens as we reconnect, realign and redesign your way of seeing, feeling, sensing and interacting in the world. As you awaken on every level, life takes on a whole new meaning. The Sacred Geometric Symbol that our healing center is founded on is the Flower of Life. It is symbolic of the six days of creation and it represents the interconnectedness of all living things, as you see the circles overlapping. This symbol represents UNITY, ONENESS, HOPE, LOVE AND LIGHT. Used as a meditation tool you will see the circles changing, moving, and different images appear, and you will SEE and FEEL how everything is connected, like all the facets of our body and our being. 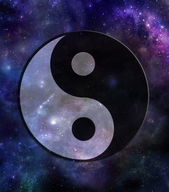 Going within, awakening that innate wisdom, connecting with all levels of your being, and meditating upon this symbol lifts despair, hopelessness, and lethargy. It raises our vibration and opens our hearts to Love and Light. Healing occurs on many levels, in many ways, and this is just one of the many tools we use to help you heal you. Our intention is to facilitate the shining of YOUR INNER LIGHT, to facilitate your discovery of your Soul’s purpose and to facilitate your helping those you love to heal as well. So true! He saw that we would return to natural/holistic therapies and tools for healing the whole person. At Heart and Soul our goal is to bring to you those therapies, tools and classes that will help to heal and grow as a whole person. HOW DO WE HELP YOU TO HEAL? Each day you have the opportunity to choose healing! WE LISTEN to you and to your body! Your body has ALL the answers and knows how to heal itself. We listen with our hands and our hearts and follow the lead of your bodies innate wisdom. You too will become more attuned to your body’s messages. Our intention is to empower you to have a wonderful relationship with your whole being, by listening and trusting the messages within and without. Consciousness training is an integral part of our services, and is combined with the hands-on therapies such as CranioSacral/Myofascial, Reiki, Reflexology, etc. Bringing awareness to any limiting thoughts you may have, to negative thoughts and beliefs, to those internal messages that are continually running like a tape that affect how you function in this world. Seeing how they affect your choices in life, your interactions and how they stop you from achieving all that you desire is important in your healing process. What you think and say IS heard by your body, by all of your bodies and thus that is the energy that proceeds you in life – it is what you put out to the world! Watch your thoughts, turn them around and SAY out loud only positive, present tense statements… living in the Present is key! Taking responsibility for your choices, our actions is necessary as this is a partnership in healing. Healing comes from within and what you think and feel within affects what materializes in your life. We facilitate the awakening of your self-love, self-appreciation, and as you come to love you, as you learn to have compassion and understanding for you, as you realize in each moment you can make a new choice, your life CHANGES! What may you expect from your first appointment? Individualized Healing Treatment Plans – yes designed just for you! Together we start the discovery process – which healing therapies, tools and/or classes feel right for you. Our intention is to find and eliminate the root cause of what ails you. Your individual “story” is the key to your healing. Your ailments may be the same as a friend’s, but not the cause so each treatment plan will not be the same. Our first meeting consists of reviewing our intake form, discussion of key complaints, your goals, and the background – when did each condition start, what was going on in your life at the time, what were the major events in your life, who and what have impacted the way you view life. Based on all the above, you will receive a treatment that best addresses you – it may be Reflexology which is a wonderful assessment and therapeutic tool of your body’s state of balance and health, it may be a CranioSacral session to unwind the body and unexplained pain, it may be Reiki that addresses your energy bodies. Whatever your body calls for is what you receive – physically, mentally, emotionally, energetically and spiritually. Our second meeting will start with a review of how you felt, what awarenesses may have arisen, how did our session connect with your goals, what do you feel needs to be addressed in this session. We will go deeper into your “story” of what brought you to this place of healing and what your focus is for the day. There will be guidance as to connecting in with how aware were you of your thoughts, emotions and how you are functioning in the world. Guidance into seeing what new things may have arisen or come into your awareness. As we Re-connect with our true selves much more comes to the surface to be healed – this is the gift! Together we decide what is the best treatment for your body today, going deeper into the root cause, peeling the layers of the onion as we go back in time thru your physical body, thru your other bodies and to the root cause of what ails you. Your tissue holds memories and with a trained gentle and compassionate therapist, you will feel your body and tissue relaxing, your mind relaxing and letting go. Your whole being starts releasing all that it has been holding…burying… Your bodies will let go of physical and other traumas, or what we call whiplash, releasing tension from the muscles, tissue and skeletal structure. 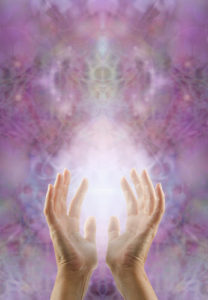 Releasing the effects of illnesses from the past, accidents, surgeries, hurts, emotional traumatic events, losses, etc. 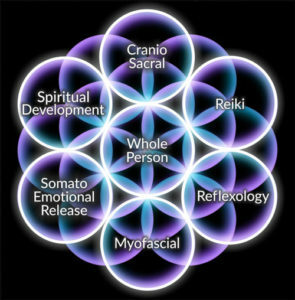 Your body tissues hold all of this and in letting go your body heals itself. This is a process and your innate intelligence will never allow you to experience more than you are ready to handle. Working on the consciousness piece will be your homework! We help you to see the patterns in your life and address which ones no longer serve you, what changes do you wish to make. Nothing changes until YOU make a change! Our thoughts and beliefs play a key role in our health, so as we eliminate those that are limiting or negative and as we focus on the positive, YOU are being empowered! You are the healer! You are the co-creator of your universe. RE-connecting to your True Self – your PERFECT DESIGN. It is about RE-aligning – your bodies, your mind and your spirit. It is about RE-designing – create the real YOU, the you, you were meant to be! This is a beautiful process; it is the process called Life. Each moment of each day we have the opportunity to HEAL, by choosing consciously, by choosing love over fear, and knowing we are CO-creators of our life story. This is for you, this is for me, this is for Humanity! Choose your health as a priority today! Call 781-784-1955 to set your life on track! About the Author: Barbara Ann Strassman was raised in a household where hands on healing, meditation, yoga and metaphysical studies were every day occurrences. She has a passion for new experiences, for learning, for increased self-awareness and spiritual growth. Barbara is owner of Heart and Soul Holistic Healing Center, soon to be a subsidiary of Great Waters, LLC. She is extensively trained in several healing modalities, including Reflexology, Cranio/Myofascial Therapy and Divine Matrix. Connect with Barbara on LinkedIn.